The problem with working with processing centres is that the chips can not be extracted directly where they are produced. They lie on the work piece, in pockets, grooves and bores, and cannot be gathered by the extraction system. Dust is one of the biggest problems in the wood-working industry. PREWI’s contribution to a cleaner and more productive workplace is the Extraction bell. 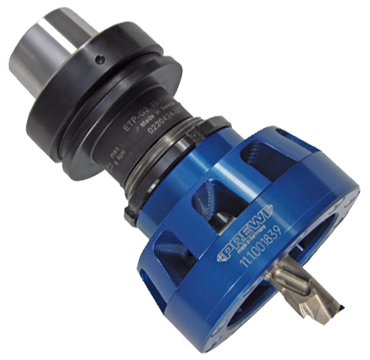 PREWI has developed a suction bell that uses the tool rotation to disperse the chips and dust which can then be extracted. Due to the hi-speed rotation a vacuum is created underneath the bell that causes even heavy chips from fibre cement boards to be extracted.